Perfect destination for comfortable and luxury living! Looking for a dream home away from the hustle and bustle of the city where the air is clean and free from pollution? A place where the climate is mild during all seasons, then you should have a close look at Shriram Blue project in Bangalore. Spread over 9 acres of premium land, the project offers beautifully designed 1,2 and 3 BHK luxury homes in variant configurations. A project offering 450 apartments in total and structured brilliantly to ensure maximum air and light to reside in. Shriram Blue Bangalore offers a wide range of amenities including swimming pool, clubhouse equipped with recreational facilities, barbeque corner, gym, fitness corner and more to elevate the living standard of residents. Apart from this, the whole complex is surrounded with greenery and beautifully landscaped gardens to make you feel living close to nature. 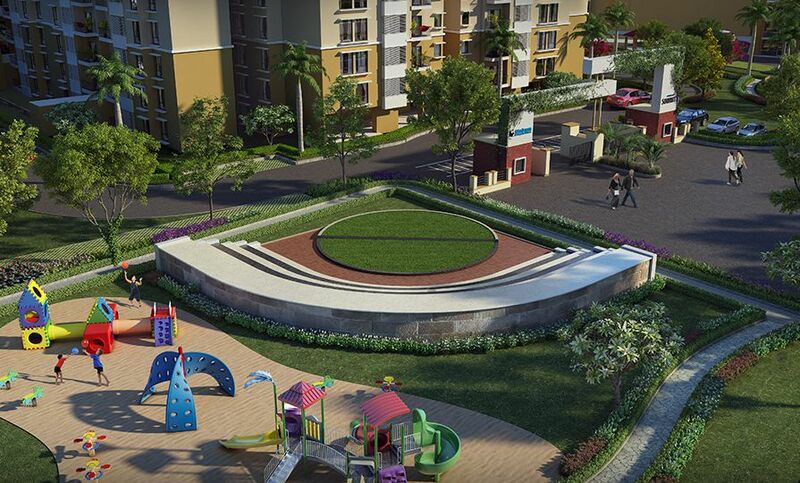 Shriram Blue Krishnarajapuram comes in close vicinity to some important landmarks in and around the city. The social and physical infrastructure at this location is so well-developed to offer a convenient living. All the facilities are located very close so that you can commute easily without getting stuck in traffic jams.